Designed to host equipment for researchers with with high computational data needs, this 40-foot container center houses 40 racks on North Campus. ITS is responsible for the operations of the MDC. 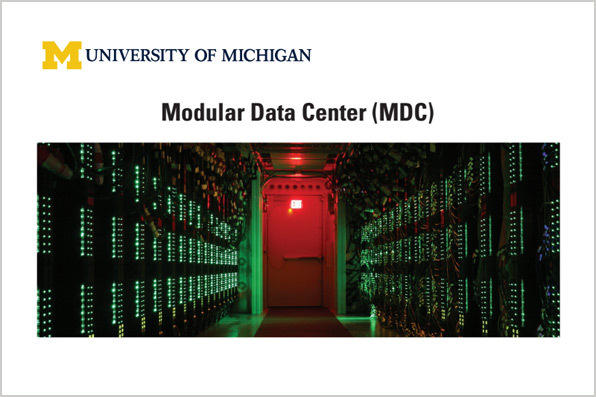 Advanced Research Computing — Technology Services is responsible for the approval of new MDC customers and billing for high-performance computing and Flux.